Scottish clubs have been urged to consider community and fan ownership, with four in the top three divisions under critical financial pressure. The latest report on the state of the game suggests that a further 16 clubs show less serious signs of distress. Ken Pattullo, of authors Begbies Traynor Scotland, eyed one remedy. "Structures, such as community interest companies and fan-based ownership, may well become an increasing part of the solution," he said. Clyde, Dundee, Dunfermline Athletic, Motherwell, Stirling Albion and Stranraer all now have forms of community or fan ownership. And the corporate recovery company, which releases Red Flag Alert reports twice a year, is predicting that three more clubs will be community owned by 2015. "The fact is that, like businesses in many sectors, some clubs are pulling away from others in financial terms and those clubs that are staggering on, barely able to meet their financial commitments, are edging closer to falling over," said Pattullo. "It is hard to see what, aside from a big investment, will save these clubs from facing administration, unless they completely revisit their business models and make some fundamental changes." Scotland's bottom tier benefitted from Rangers' brief stay, with only two of its clubs showing signs of distress after enjoying a massive increase in average attendances during the last season. The Ibrox club's promotion to League One has seen a huge recent spike in attendances, with a 700% boost to average gates so far this season. However, while the number of clubs in serious trouble is the same as the last survey, which was conducted in March, and is Begbies Traynor points out that football club finances were typically healthiest at the start of the season and that more serious problems could kick in early next year. 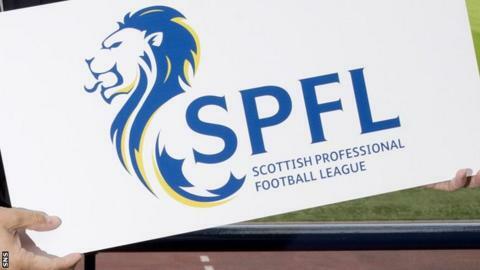 The Football Distress Survey also reported static average attendance and season ticket revenues across the four divisions of the Scottish Professional Football League (SPFL). Alistair Dickson, of BTG Financial Consulting, said: "The majority of troubled clubs in Scotland can no longer rely on wealthy benefactors swooping in as white knights. "Some clubs are likely to conclude that it makes financial sense for the fans, who support the club week in and week out, to take a long-term stake in the clubs themselves and help secure their future by extending their reach to the wider community. "The community club model has been shown to work all over Europe, from the amateur ranks all the way to the mighty Barcelona and is an integral part of German football. The model has a real future in Scottish football. "In fact, aside from merging and consolidating clubs together, or allowing those that fail to create a reduction in the number of clubs, it is possibly the only hope for many."